First of all, I just gotta say, if Ryan Reynolds wasn't the main star in this movie, it would have been a flop. 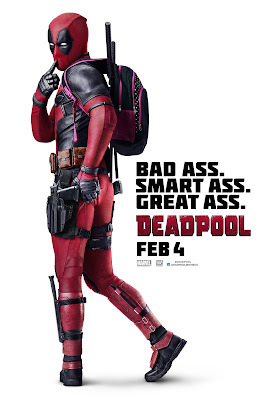 Aside from that handsome face and hot body, he is actually rather scary looking as Deadpool but he is Ryan Reynolds, so you can put that aside and still enjoy his jokes! This is Marvel Comic's most unconventional anti-hero. If you don't understand half of what I'm saying here, it's okay because half the time, you will also go WTF in the movie. So basically, Wade Wilson got himself into an experiment to cure his cancer only to find out that it went rogue but left him with new abilities and a scarred face. So he is on the hunt for the people who nearly destroyed his life. That's when he adopted his alter-ego, Deadpool. Deadpool actually talks to the audience in the cinema. Yes, you! If you're watching it, he actually knows that you're watching him LOL and he has a dark twisted humour with much vulgarity. When we watched the movie, it wasn't censored so there were many F-bombs in the movie. It's for adults 18 and above by the way, so no kids are allowed! There were constant jokes about cliches and Deadpool even joked about Ryan Reynolds HAHA. For the most part, there wasn't much storyline so just sit back and enjoy the jokes. Don't expect too much out of this movie.